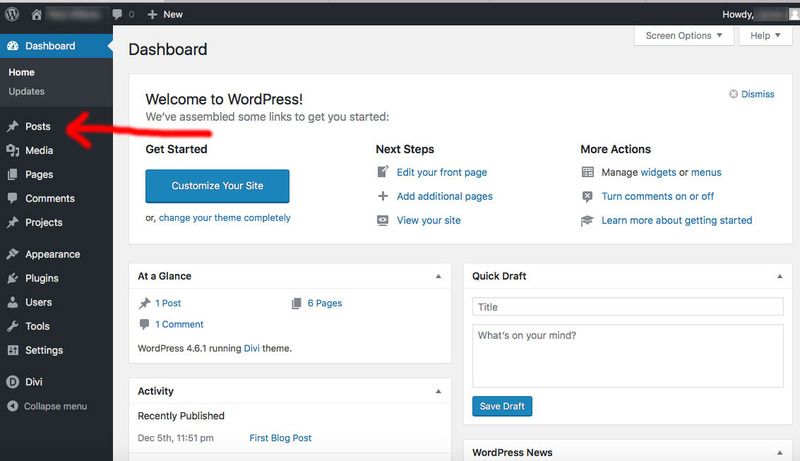 You have your new website created in wordpress, the worlds most famous platform for blogging, so of course, you want to start using it what it was designed for. Forget that you most likely meant your site to be a static website, not an actual blog, because for your pages to be noticed by Google, its highly recommended to run a blog. 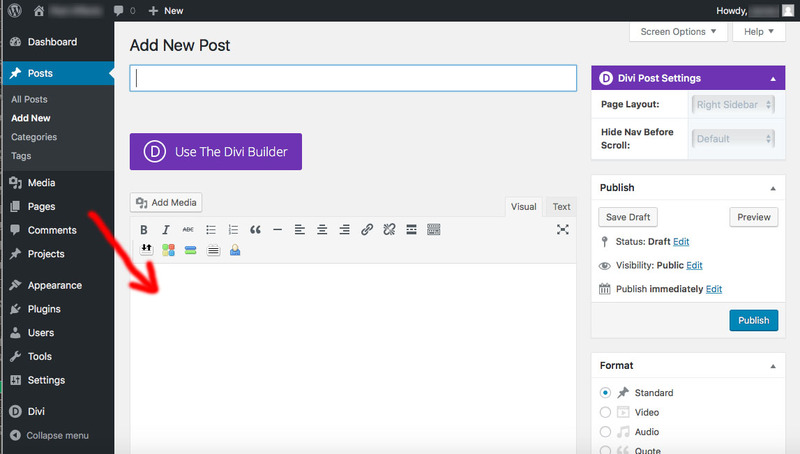 Here is a simple primer to get your first blog post up and running. 1. Log into your websites backend. In the browser address field, type “/admin” after your website address and enter. Type in your username and password and enter. 2. The next page is the wordpress backend of your website, where all the elements of your website are controlled from. Go to the “Posts” menu. 3. This brings to the list off all your blog posts. Select “Add New” or in this case, where the first post was mockup post, click on it to edit it. 4. 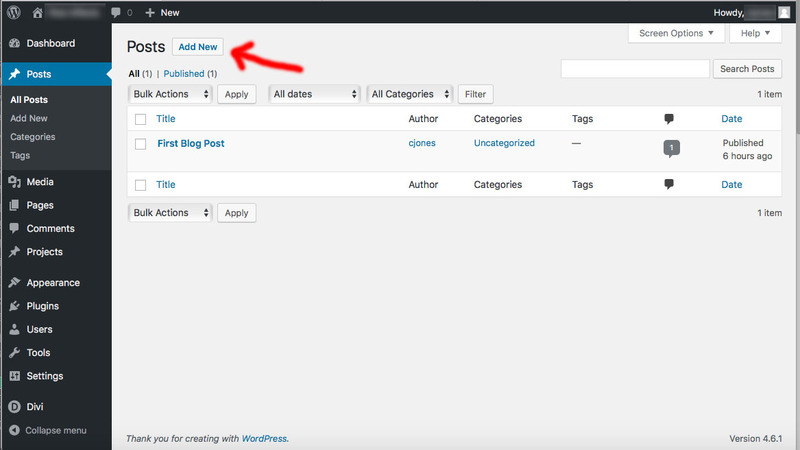 Type in your blog heading (under Add New Post) and start typing your blog at the arrow. Use the “Add Media” to add pictures anywhere in your post. 5. When you’ve finished typing, there is still a little more to do. 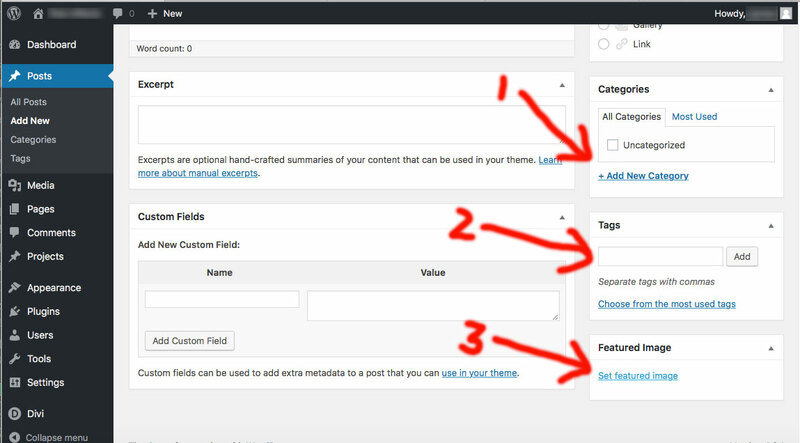 Add categories, this helps google, make up all the categories you need (arrow 1), same with tags (arrow 2) and finally, select a feature image (arrow 3) (appears above your blog title on the website “Blog” page). Then choose “Preview” to see what your page looks like, or “Save Draft” (saving without publishing), or “Publish” to finish the job.